Rather than simply give you an answer here, I'll let you figure this out for yourself. Think very carefully about the water-in-a-vessel analogy when answering this question! 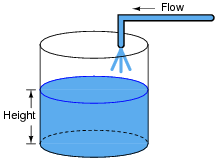 Fill a glass with water, if necessary, to gain an intuitive understanding of these quantities. The resistor is called a shunt because it is designed to produce a voltage proportional to current, for the purpose of a parallel (ßhunt")-connected voltmeter or oscilloscope to measure that current. Ideally, the shunt resistor is there only to help us measure current, and not to impede current through the capacitor. In other words, its value in ohms should be very small compared to the reactance of the capacitor (Rshunt << XC). Note: the amplitude of your plots is arbitrary. What I'm interested in here is the shape of the ideal and actual output voltage waveforms! Hint: I strongly recommend building this circuit and testing it with triangle, sine, and square-wave input voltage signals to obtain the corresponding actual output voltage wave-shapes! Follow-up question: given that Rshunt << XC in order that the resistance does not impede the capacitor current to any significant extent, what does this suggest about the necessary time-constant (t) of a passive differentiator circuit? In other words, what values of R and C would work best in such a circuit to produce an output waveform that is as close to ideal as possible? This question really is best answered by experimentation. I recommend having a signal generator and oscilloscope on-hand in the classroom to demonstrate the operation of this passive differentiator circuit. Challenge students with setting up the equipment and operating it! Generally speaking, how many "time constants" worth of time does it take for the voltage and current to ßettle" into their final values in an RC or LR circuit, from the time the switch is closed? If you said, "five time constants' worth" (5 t), you might not be thinking deeply enough! In actuality, the voltage and current in such a circuit never finally reach stable values, because their approach is asymptotic. However, after 5 time constants' worth of time, the variables in an RC or LR circuit will have settled to within 0.6% of their final values, which is good enough for most people to call "final." The stock answer of "5 time constants" as the amount of time elapsed between the transient event and the "final" settling of voltage and current values is widespread, but largely misunderstood. 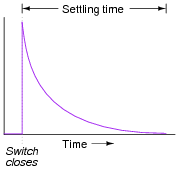 I've encountered more than a few graduates of electronics programs who actually believe there is something special about the number 5, as though everything grinds to a halt at exactly 5 time constants worth of time after the switch closes. 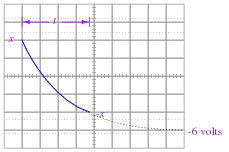 In reality, the rule of thumb of "5 time constants" as a settling time in RC and LR circuits is an approximation only. Somewhere I recall reading an old textbook that specified ten time constants as the time required for all the variables to reach their final values. Another old book declared seven time constants. I think we're getting impatient as the years roll on! 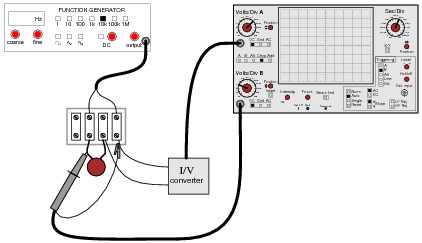 The technician suggests you build a passive differentiator circuit for his application. You have never heard of this circuit before, but you probably know where you can research to find out what it is! He tells you it is perfectly okay if the circuit generates negative voltage pulses when the switch is de-actuated: all he cares about is a single positive voltage pulse to the computer each time the switch actuates. Also, the pulse needs to be very short: no longer than 2 milliseconds in duration. 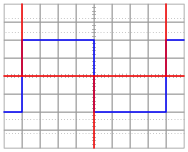 Given this information, draw a schematic diagram for a practical passive differentiator circuit within the dotted lines, complete with component values. Did you really think I would give you the component values, too? I can't make it too easy for you! This circuit would certainly work to create brief pulses of voltage to the computer input, but it would also likely destroy the computer's input circuitry after a few switch actuations! Explain why. 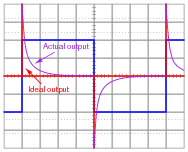 The behavior of a differentiator circuit may be confusing to students with exposure to calculus, because the output of such a circuit is not strictly related to the rate of change of the input voltage over time. However, if the time constant of the circuit is short in comparison to the period of the input signal, the result is close enough for many applications. 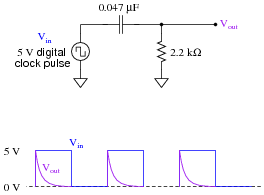 Follow-up question #1: what would we have to change in this passive differentiator circuit to make the output more closely resemble ideal differentiation? 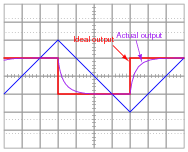 Follow-up question #2: explain how it is possible that the differentiator's output waveform has a greater peak amplitude than the input (square) waveform. Ask students to contrast the behavior of this passive differentiator circuit against that of a perfect differentiator (with t = 0). 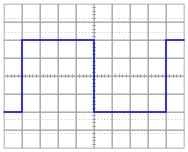 What should the derivative plot of a square wave look like? Your answers will, of course, be qualitative rather than quantitative. Explain whether or not the time constant for the voltage-source-powered circuit ought to be large or small, and why. Both V and R should be extremely large values in order to mimic the behavior of a current source. In this question, I ask students to identify the behavior of a true integrator circuit, and then contrast it with the behavior of what is more accurately known as a first-order lag circuit (the RC circuit powered by the voltage source). Of course, the two circuits do not behave the same, but through judicious choices of V and C, one can make the "lag" circuit closely mimic the true integrator circuit over a practical range of capacitor voltage. What can be done with the values of R and C to best approximate a true triangle wave? 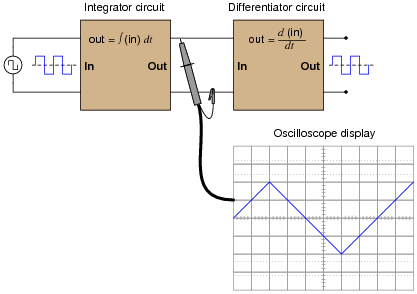 What variable must be compromised to achieve the most linear edges on the integrator output waveform? Explain why this is so. Maximum values of R and C will best approximate a true triangle wave. The consequences of choosing extremely large values for R and/or C are not difficult to determine - I leave that for you to explain! This question asks students to recognize conflicting design needs, and to balance one need against another. Very practical skills here, as real-life applications almost always demand some form of practical compromise in the design stage. If students cannot figure out what must be sacrificed to achieve waveshape linearity, tell them to build such a circuit and see for themselves! 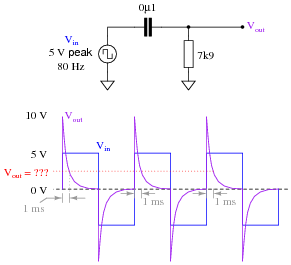 In addition to completing the inductor circuit schematic, qualitatively state the preferred values of L and R to achieve an output waveform most resembling a true triangle wave. In other words, are we looking for a large or small inductor; a large or small resistor? For maximum "triangle-like" waveshape, choose a large value for L and a small value for R.
Follow-up question: explain how the choices of values for L and R follow the same reasoning as the choices for R and C in an RC passive integrator circuit. 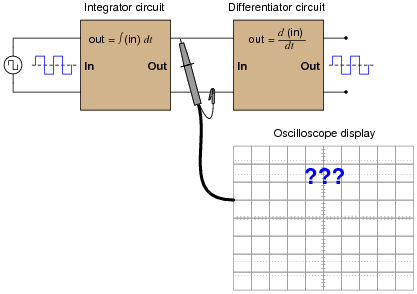 Explain to your students that although LR integrator circuits are possible, they are almost never used. RC circuits are much more practical. Ask them to determine why this is! What specific type of passive filter does a passive integrator circuit resemble? Is the resemblance the same for LR integrators as well, or just RC integrators? What does this resemblance tell you about the frequency response of a passive integrator circuit? The answer to this question is so easy for you to research, it would be an insult to print it here! This question is fairly easy, and provides a logical step to prepare students for frequency-domain analysis of passive integrator circuits. From Fourier's theory, we know that a square wave is nothing more than a series of sinusoidal waveforms: the fundamental frequency plus all odd harmonics at diminishing amplitudes. 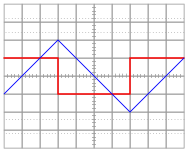 Looking at the two integrators as passive filter circuits, explain how it is possible to get a pseudo-sine wave from a square wave input as shown in the above diagram. 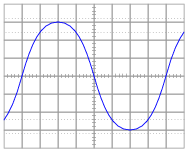 Also, explain why the final output is not a true sine wave, but only resembles a sine wave. These two integrators act as a second-order lowpass filter, attenuating the harmonics in the square wave far more than the fundamental. 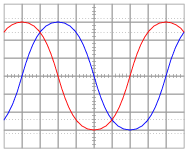 Challenge question: does the output waveshape more closely resemble a sine wave when the source frequency is increased or decreased? Once students have a conceptual grasp on Fourier theory (that non-sinusoidal waveshapes are nothing more than series of superimposed sinusoids, all harmonically related), they possess a powerful tool for understanding new circuits such as this. Of course, it is possible to understand a circuit such as this from the perspective of the time domain, but being able to look at it from the perspective of the frequency domain provides one more layer of insight. Incidentally, one may experiment with such a circuit using 0.47 mF capacitors, 1 kW resistors, and a fundamental frequency of about 3 kHz. 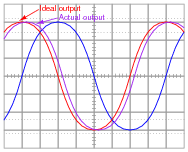 Viewing the output waveform amplitudes with an oscilloscope is insightful, especially with regard to signal amplitude! Complete the following sentences with one of these phrases: ßhorter than," "longer than," or ëqual to". Then, explain why the time constant of each circuit type must be so. 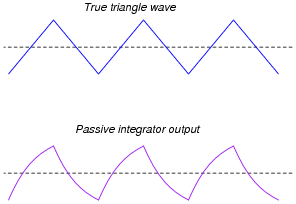 Passive integrator circuits should have time constants that are (fill-in-the-blank) the period of the waveform being integrated. 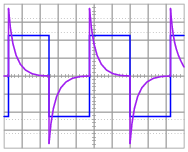 Passive differentiator circuits should have time constants that are (fill-in-the-blank) the period of the waveform being differentiated. Passive integrators need to have slow time constants, while passive differentiators need to have fast time constants, in order to reasonably integrate and differentiate. If students don't understand why this is, let them work through an example problem, to see what the output waveform(s) would look like for various periods and time constants. Remember to stress what an ideal integrator or differentiator is supposed to do! When a circuit designer needs a circuit to provide a time delay, he or she almost always chooses an RC circuit instead of an LR circuit. Explain why this is. Capacitors are generally cheaper and easier to work with than inductors for making time delay circuits. The answer given here is purposely minimal. You should ask your students to give responses more thoughtful than this! Ask them why capacitors are cheaper than inductors. Ask them to explain what is meant by ëasier to work with," in technical terms. An LR differentiator circuit is used to convert a triangle wave into a square wave. One day after years of proper operation, the circuit fails. 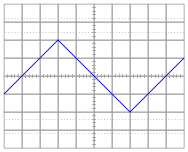 Instead of outputting a square wave, it outputs a triangle wave, just the same as the waveform measured at the circuit's input. Determine what the most likely component failure is in the circuit. The inductor is failed open. Follow-up question: this is not the only possible failure, but it is the most likely. Explain what the other failure(s) could be, and also why the one given here is most likely. There are only two components in this circuit, so determining possible failures should not be a problem at all. To distinguish between the inductor having failed versus the resistor having failed, one needs to know which type of component failures are more likely (and why!). This question is nothing more than an exercise in time-constant circuit calculations: determining how far the output voltage has decayed from its peak of 10 volts after 1 millisecond. Ask your students to share their techniques for problem-solving with the whole class. This question is nothing more than an exercise in time-constant circuit calculations: determining how far the output voltage has decayed from its peak of 5 volts after 150 ms. Ask your students to share their techniques for problem-solving with the whole class. Each time the differentiator's output voltage signal spikes up to +5 volts and quickly decays to 0 volts, it causes the level detector circuit to output a narrow voltage pulse, which is what we want. 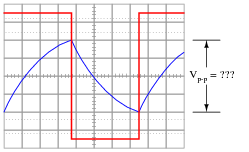 Calculate how wide this final output pulse will be if the input (square wave) frequency is 2.5 kHz. This question requires students to calculate a length of time in an RC circuit, given specific voltage levels and component values. It is a very practical question, as it may be necessary to build or troubleshoot such a circuit some day! 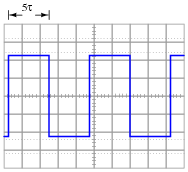 Hint: the output waveform will be centered exactly half-way between the two peaks of the input square wave as shown in the oscilloscope image. Do not base your answer on relative sizes of the two waveforms, as I have purposely skewed the calibration of the oscilloscope screen image so the two waveforms are not to scale with each other. Follow-up question: the components comprising this circuit are improperly sized if it is actually expected to function as a reasonably accurate integrator. Suggest better component values for the frequency of signal being integrated. Challenge question: write a formula that solves for this peak-to-peak output voltage (Vout) given the peak-to-peak input voltage (Vin), resistor value R, capacitor value C, and signal frequency f.
This is an interesting problem to set up. Ask your students what approach they used, so they all can see multiple problem-solving techniques. I based my own solution on the RC circuit decay equation e-t / t with x volts being my starting condition and -6 volts being my final condition (if time t is infinite), then I just solved for x. With my method, x is the peak signal voltage, not the peak-to-peak, so I just doubled it to get the final answer.